If you’ve never tried Greek yogurt brownies, you’re in for a pleasant surprise with these extra moist chocolate squares of deliciousness. The recipe makes a dozen 4-inch squares, so (hint hint) you might want to make two batches as these are guaranteed to disappear almost instantly. For an extra indulgence, top with your favorite vanilla ice cream, Cabot Whipped Cream and chocolate shavings. After making, share the recipe with friends and family on Facebook, Pinterest, Instagram, and Twitter! 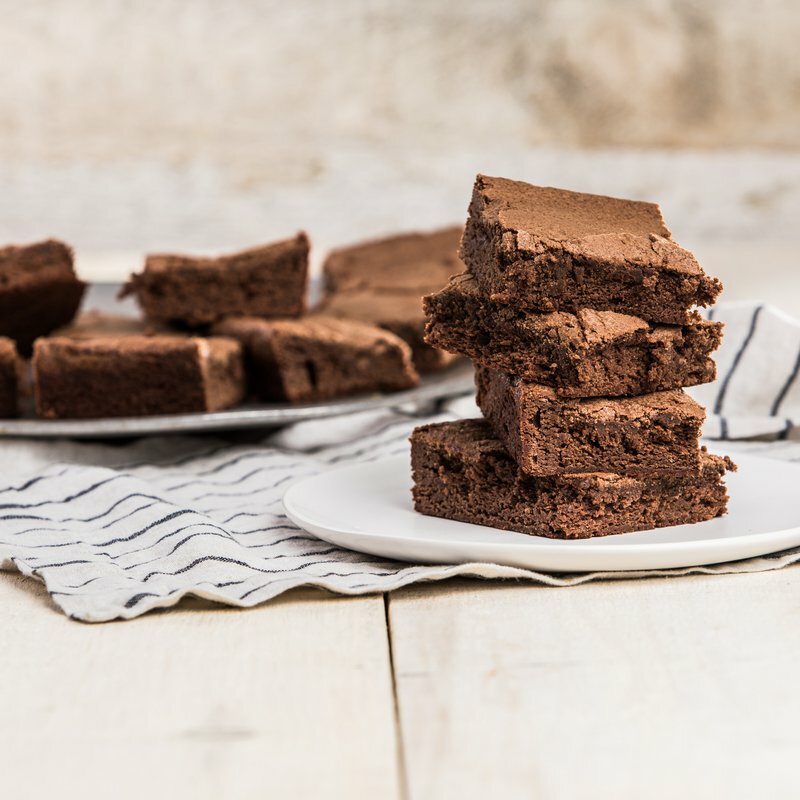 To make a batch of Greek yogurt brownies, preheat your oven to 325ºF and coat a 13-by-9-inch baking dish lightly with cooking spray. Whisk flour and baking powder together in a small bowl and set aside. 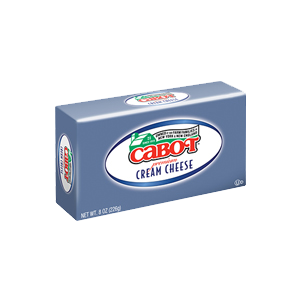 Combine 1 stick of Cabot Salted Butter and 4 1-ounce squares of unsweetened chocolate in a large heat-proof bowl. Set bowl over a saucepan of barely simmering water, stirring often until melted and combined. Remove from heat and whisk sugar into the chocolate mixture until combined. 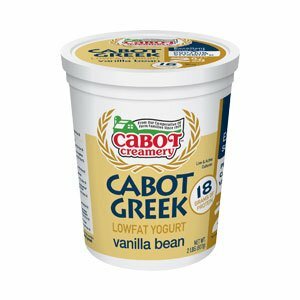 Then whisk in Cabot Vanilla Bean Lowfat Greek Yogurt and vanilla extract. Add 4 large eggs, one at a time, whisking well after each addition. Mix in the flour mixture and combine completely. Spread batter into prepared baking dish and bake for 40 to 50 minutes, or just until a wooden toothpick inserted in the center comes out with only a few moist crumbs attached. Set on a wire rack to cool completely before cutting into squares. Enjoy as is or top with ice cream! If you loved this Greek yogurt and chocolate dessert, you’ll love our recipe for Greek Yogurt Chocolate Pudding as well! As a co-operative of over 800 farm families, our goal is to make the highest quality and best tasting cheddar cheese and dairy products you’ll find. We’d love for you to rate and review these Greek yogurt brownies once you’ve made them! PREHEAT oven to 325ºF. Coat 13-by-9-inch baking dish lightly with cooking spray. COMBINE butter and chocolate in large heat-proof bowl; set over saucepan of barely simmering water and stir often until melted and combined. Remove from heat. Whisk sugar into chocolate mixture, then whisk in yogurt and vanilla. Add eggs one at a time, whisking well after each addition. Mix in the flour mixture and combine completely. Spread batter into prepared dish. BAKE for 40 to 50 minutes or just until wooden toothpick inserted in center comes out with only a few moist crumbs attached. Set on wire rack to cool completely. Cut into squares.